Chen Qiufan. Courtesy of Chen Qiufan. Chen Qiufan (陈楸帆), also known as Stanley Chan, is one of the leading figures of a young generation of Chinese Science Fiction (SF) writers who were born in the 1980s. His work has won multiple awards, including Taiwan’s Dragon Fantasy Award, China’s Milky Way Award for Science Fiction, and China’s Nebula Award for Science Fiction. His stories often revolve around contemporary social, political and economic problems in China, thus many critics describe his SF as “realist SF.” Many of his stories are characteristic of the Cyberpunk subgenre, and he is oftentimes called “China’s William Gibson.” He is mostly concerned with the alienation effect of modern technology and society. The English version of his first novel, The Waste Tide, is coming out in early 2018. On December 3, 2016, The International Conference of Utopian and Science Fiction Studies was held in Beijing, China. Chen, who has always kept his eye on SF studies, attended the conference and was interviewed thereafter. He mainly talked about the rise of Chinese SF, its relation to Chinese society and history, and his writing of The Waste Tide. Sun: Who are your favorite SF writers, or those who have influenced you the most? Chen: The works of Jules Vernes and Arthur C. Clarke had major influence on me when I was young; and since then, I’ve read the works of William Gibson. Ted Chiang’s SF suits my taste the most, and also Ken Liu’s. Sun: In the last few years, Chinese SF has suddenly received wide attention and acclaim around the world. What do you think are the reasons? What kind of special value do you think Chinese SF provides for the world of science fiction? Chen: I think the broader background is the rise of China as a whole, in politics, the economy, and culture; it is playing an increasingly important role. When its overall political and economic strength reaches a certain level, a nation will usually seek out cultural exportation. In the past, China’s cultural trade deficit was rather obvious; we had very few cultural exports. It also has to do with chance and luck. Ken Liu played a key role. We were very fortunate to have a translator like him who has native proficiency in both English and Chinese, and who is not only familiar with but also interested in science fiction. When I was in Japan one time talking with Japanese SF writers, they told me that they were very jealous of us, and wished they had their own “Ken Liu.” But they didn’t have such a figure. Sun: And do you think Chinese SF has some unique values, compared to western SF? Chen: Actually, I think about this quite often. Science fiction of every culture is bound to have its own traits, reflective of its language and culture. The biggest characteristic of China is the drastic transformation and fracture between different social forms. In a hundred years, China experienced the progress that the West took many centuries to complete. From the late Qing dynasty to the Republic of China, to the founding of the People’s Republic of China, to learning from the Soviet Union, to the reform and opening up, every stage lasted only about a few decades. There is something very science fictional and fantastic about this very drastic social transformation. At the foundation, the soil of rural China is still there, not thoroughly washed away. This has led to the co- existence of many different layers of society, which science fiction is best suited to present. Sun: When you are writing SF, are Chinese readers the intended audience, or do you also take into consideration western readers and write about Chinese traditional culture, with detailed explanations? Chen: To be honest, I’ve never thought about that. Those folk customs that I write about are actually quite local. Sun: Yes, I—born and raised in China—don’t even know many of them. Chen: Yes. In fact, China is so vast that one doesn’t necessarily know the customs and cultures of another district. I want readers to have a grasp of the cultural basis of a story, so I normally write a lot on that. Some people might find it interesting, some might not. It depends. Some value plot more; some might be more interested in things related to anthropology and ethnography. I belong to the latter. Sun: You’ve mentioned elsewhere that if you were to suggest a central motif for your SF, it would be alienation. Do you think contemporary SF has such a motif, or a common theme or emotion? Chen: I think it’s very hard to summarize a common motif. I think even for American SF, it’s hard to find a common motif. But I think every author does have one. Sun: One of the themes in The Waste Tide is class stratification. How do you think it has changed in the last few decades in China, and how do you think it will change in the future? Chen: The People’s Republic of China was originally founded on the ideology of equality, aiming to eradicate inequality and the feudal social class system. It maintained a belief in absolute egalitarianism and communism. But in later practice, there were major deviations. In this process, social gaps tended to widen and a hierarchical system became politically entrenched. After the Cultural Revolution, this tendency toward absolute politicization was corrected, but it was transformed into a kind of marketism—“socialism with Chinese characteristics.” It carries with it myriad historical residues, including those from feudalism, bureaucratism, officialdom as the absolute standard (官本位), all of which in the era of market economy became another kind of rent-seeking. In this process, new forms of class stratification are formed. Inequality concerning the acquisition of all kinds of resources, especially informational resources, leads to the majority of wealth falling into the hands of a few people, causing ever more severe class stratification. This is an obvious tendency in the last decade. Sun: As for socialism with Chinese characteristics, in your opinion, is it really socialist or capitalist? Chen: It is just a name. You could call it socialism with Chinese characteristics, or crony capitalism; but I think everyone knows what it really is in reality. As to the future, it’s really hard to say. There will possibly be a samsara, where we go back to the era of the planned economy, which would involve the redistribution of property. In this process, those at the bottom of the social caste would probably benefit, obtaining a certain degree of social security. But the middle class will feel exploited and lack a sense of security. Thus, it would be a reshuffling process. Sun: So do you think it’s possible that in the future China will still head toward socialism and communism? 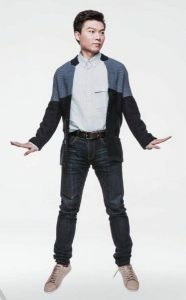 Chen: Yes. But it will definitively be different than how it was initially imagined. I don’t know what exact form it would develop into, but it would have this tendency. Sun: One of the major issues touched upon in The Waste Tide is e-waste. What do you think are the background social problems that are related to it, for example globalization, class stratification, consumerism? Chen: All of those you mentioned are actually involved. It’s a very complicated problem. I did another interview recently that focused specifically on e-waste. The interviewer was doing a special issue on e-waste, because it is indeed a big issue, involving complex problems like recycling. Sun: What books, including SF or nonfiction books, had an influence when you were writing The Waste Tide? Chen: The most obvious is The Windup Girl. Others include Neuromancer and Confessions of an Economic Hit Man. The latter is similar to autobiography. It is about the kind of people like Scott in The Waste Tide. And there are many other books—for example, I read many sociological reports from Greenpeace. 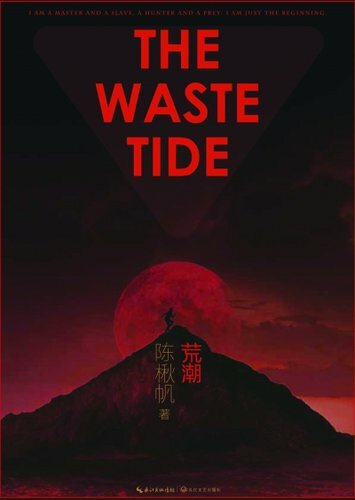 Sun: Do you currently have any plans of a new novel, or a sequel to The Waste Tide? Chen: Yes. I’ve been writing little by little, painfully, every day. The sequel is also under consideration. It will be set in a city. From an island to a city, the sequel will manifest the concept of escalation. Hong Kong might be its blueprint, for it is very interesting, as a typical postcolonial place. But I have to think it through, because there have already been many novels that used Hong Kong as a background. I have to work out how to produce something new.